$49.6M / 350,000 ft. sq. 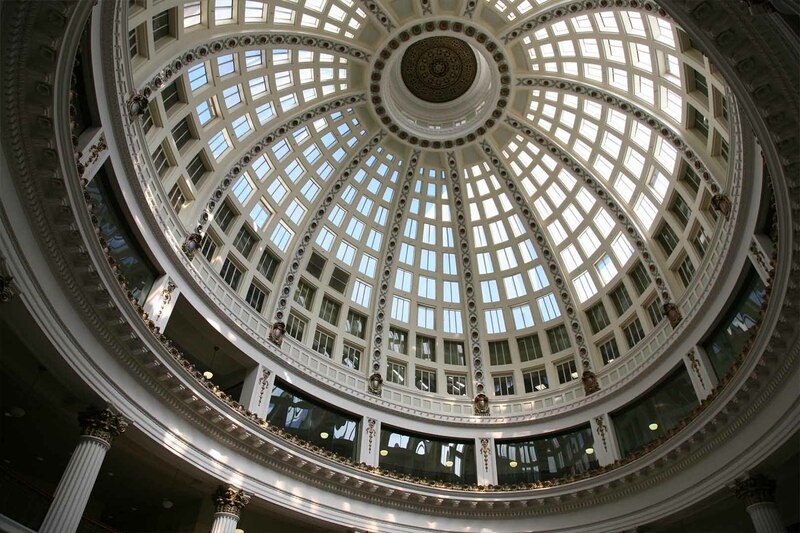 The Rotunda Building, located at the corner of Broadway and 16th in downtown Oakland, CA, was originally built in 1913 and served as the site of several department stores before it fell into disrepair and closed in 1980. A redevelopment effort was attempted by a private investor in the late 1980s, but was curtailed by the Loma Prieta earthquake in 1989. 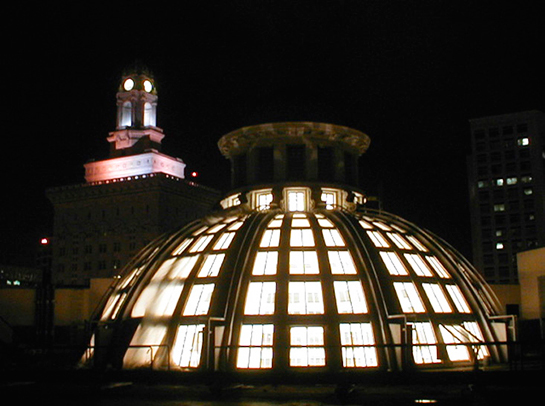 The Beaux-arts building was later acquired by the City of Oakland as part of the Frank Ogawa Plaza property in 1993, but sat empty for a number of years. 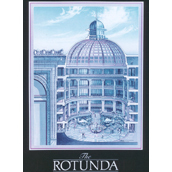 In 1997, the City’s Community and Economic Redevelopment Agency selected the Oakland-based Rotunda Partners development team, featuring Architectural Dimensions as Project Architect, who purchased the building in 1999 and performed the $49.6 million historical restoration via a public-private partnership (P3). 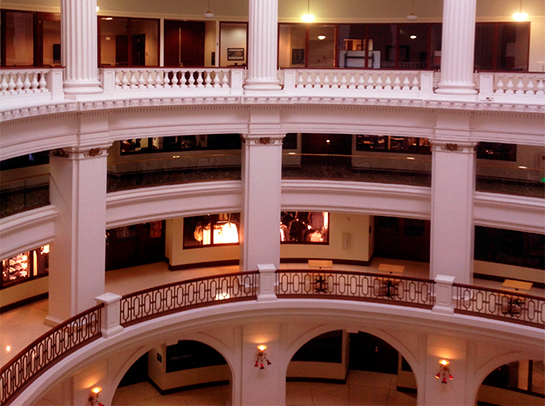 Funding for the project involved four separate sources, including private equity, a private loan, $12 million in redevelopment agency funds, and federal historic preservation tax incentives, which allow federal and state government agencies to support the restoration and reuse of historic structures by encouraging private investors to purchase and manage them. The purpose of the project was to (1) Preserve the building’s history and aesthetic while bringing it up to current code standards; (2) Integrate current technologies and improvements into the building to maximize life safety standards, energy efficiency, user amenities, and which meet the needs of future tenants; and (3) Convert an unrentable, single-tenant retail building into a multi-tenant commercial, office building with 10% supporting retail. To meet the project’s financial goals, it was imperative to nurture collaborative partnerships with both public and private entities. One such partnership with the City maximized the budget utilization under a private construction contract, while also giving the City a return on its investment. DESIGN. 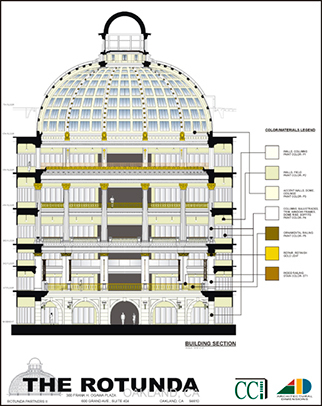 Understanding the deficiencies of the building were essential to planning its restoration. A collaborative design team that included AD as the Project Architect, along with engineers and contractors, was tasked with investigating the building’s condition in order to identify issues, possible solutions, and various cost models. 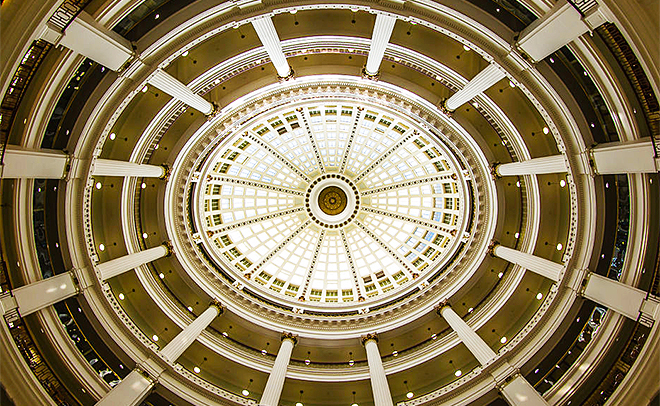 – restoration of the atrium’s iconic 125-foot-high dome ceiling, which features 400 individual panes of glass. In response to strict scheduling and building requirements from lenders and local agencies, our team took an aggressive approach to coordinating with, and obtaining design reviews from, each stakeholder agency before the construction documents were even completed. 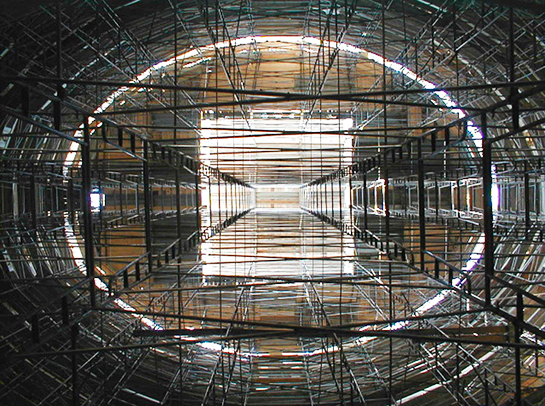 In addition, the building owner’s willingness to pay for any necessary research, agency consultations, and expert consultants also gave the lenders, community, and stakeholders such confidence in the project, that sources normally deemed ‘adversarial’ ended up contributing positive input on the design. 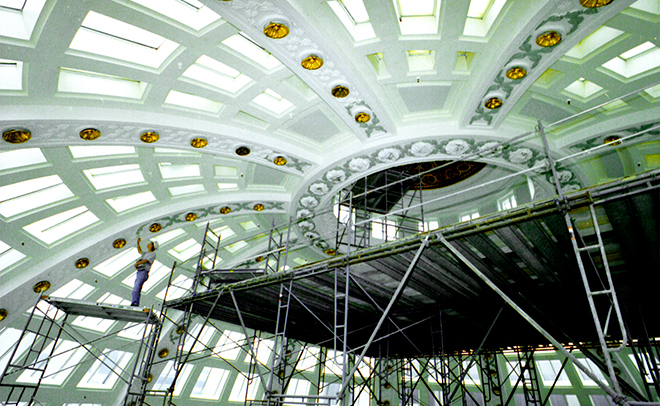 Several variances to the presiding building code were also required in order to preserve various historic elements of the Rotunda. Our team’s dedicated coordination efforts ensured that all variances were processed and approved by the appropriate City agency prior to any building permits being issued. CONSTRUCTION. The project was constructed via a design-build-style method in 24 months, with completion taking place in January 2001. 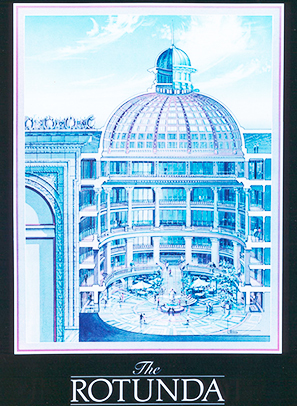 AD was responsible for obtaining the GC’s upfront commitment to using several key subcontractors to provide the high-performance mechanical, electrical, fire protection, and plumbing systems required by prospective tenants, but which (per the historic building code) needed to be incorporated in a way that did not disrupt the historic elements of the building. 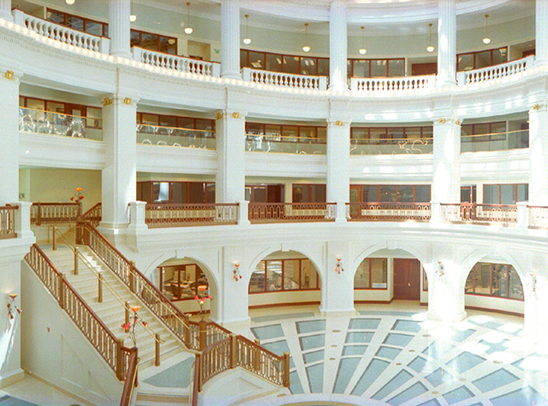 The final 350,000-square-foot building consisting of 6 floors of Class A commercial office space (ranging in size from 5,000 to 50,000 square feet each) situated over one floor of retail, and a basement level. 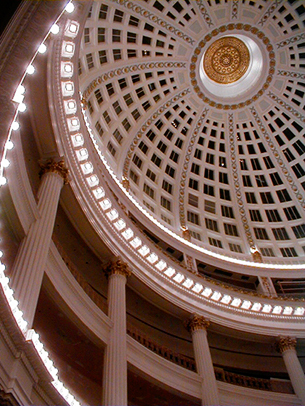 In September of 2001, a dedication of the building was performed by then Mayor Jerry Brown at an event hosted by non-profit group the Oakland Heritage Alliance, which honored the Rotunda Partners team with their prestigious President’s Award for their contribution to preserving the City’s history.